Cervids are keystone species in ecosystems and are associated with enormous cultural and economic value. Chronic wasting disease (CWD) is a fatal prion disease spreading in North American cervid populations. The 2016 emergence of CWD in Europe makes it urgent to understand the basics of CWD and to assess the extent to which current CWD knowledge is transferable to Europe. CWD is difficult to detect in the early stages due to very low prevalence and slow growth rates. The negative population effect of CWD is mainly due to increased female adult mortality, as infected individuals continue to reproduce. It may take decades before CWD leads to population declines. The population dynamics of mule deer are affected more by CWD than those of white-tailed deer, which in turn are more affected than those of elk, and depending on other factors limiting the populations. Species- and population-specific differences in dynamical consequences are linked to the balance among the rates of transmission, incubation period (linked to the prion protein gene, PRNP), and reproductive rates. 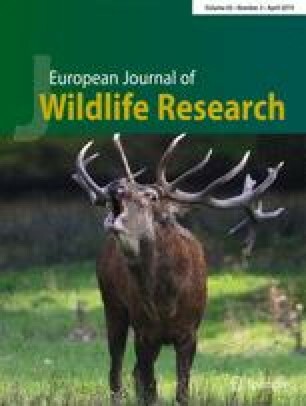 This make it difficult to predict effects of CWD in Europe with other cervids, but the dynamic impact may be marked to cervid populations over the long term. The process of spillover across the species barrier is not well understood. Occasional spillover to moose without an apparent epizootic suggests specific conditions can limit CWD. Frequency-dependent transmission or weak density–dependent transmission makes it difficult to control CWD using density reductions through harvest and/or culling. CWD is difficult to eradicate once it becomes endemic, and it calls for immediate management actions. These actions involve extensive culling, fencing, and ceasing of wildlife feeding and are likely to cause significant controversy. This work was initiated as part of the vkm-2 evaluation (Hansen et al. 2016), and we are grateful for discussions with the vkm-group. Our review also benefitted from various discussions with North American CWD experts: Tom Hobbs, Matthew Kauffman, Evelyn Merrill, Mary Wood, Timothy Van Deelen, Hank Edwards, Krysten Schuler, and Todd Cornish; and from the comments of two anonymous referees and in particular Michael Samuel to a previous draft.